That Sprint will soon start offering a white HTC EVO 4G LTE is something that we are already expecting thanks to the numerous leaks from the past few weeks. What we didn't know, however, was the exact date of the white version's arrival, but the rumor mill just kindly filled in that blank for us. 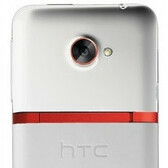 The white HTC EVO 4G LTE is coming on July 15, according to a piece of a document that an insider decided to share with the world. It looks like there won't be any difference in pricing and the device will cost $199 with a 2-year contract, just like its darker sibling. That same document also suggests that Sprint will be running a Samsung Epic 4G Touch promo starting on July 15. Each customer who purchases the smartphone, which is priced at $99 on contract, can get a second unit at no charge. If you are interested, keep in mind that the offer will be valid no later than August 18, according to the insider info. Is anyone interested in getting a white HTC EVO 4G LTE? Or how does that Epic 4G Touch deal sound like? Let us know by dropping a comment below. Yes. Not worth it since it's not LTE ready.